Discover our oasis in Honolulu and experience true paradise at The Kahala Hotel & Resort. The legendary Kahala Hotel & Resort is an oceanfront, destination luxury property known for its gracious Hawaiian hospitality. Located just minutes from Waikiki and secluded in a quite haven away from the city, The Kahala offers an exclusive ambiance of a neighbor island experience. 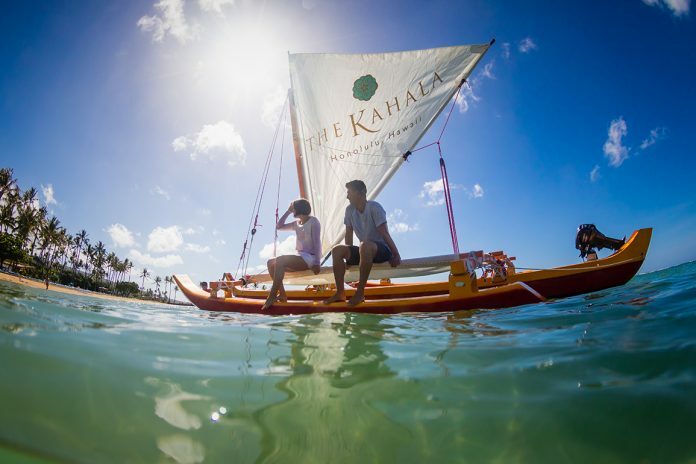 The Kahala’s new Direct Booking Bonus rewards you for booking directly. Receive up to $100 per day in resort credit and elevate your experience when you book your stay on KahalaResort.com. Splurge on an extra drink by the pool, sign up for a SUP yoga fitness class or book your reservations at Hoku’s. The options are limitless. The Kahala has been Honolulu’s social address for couples, families, weddings and gatherings since its opening in 1964. World leaders, royalty, rock bands and Oscar winners call the 338-room resort their Hawaiian home-away-from-home. Discover our oasis in Honolulu at The Kahala Hotel & Resort. Next articlePerfect Getaway: You Can See Lots of London in a Day, But Why?